Winter 2018 Full Moon Open Studios, Metal Arts Village, Studio “e”. Studio and gallery open to the public. Live entertainment and food trucks. Wednesday, January 31, 5-8pm; Friday, March 2, 5-8pm; Saturday, March 31, 5-8pm; Sunday, April 29, 5-8pm. Art Safari, Tucson. Recent paintings on view at the Contreras Gallery, opening February 3, 6-9 pm. Academic year 2016/17 and on: Skill based art curriculum designed and administered for high performing K-8 Tucson charter school Academy of Math and Sciences. Focus is on building a Fine Arts track for middle school. Summer 2017: Betina Fink will be instructing at Summer Fine Arts a unique and prestigious fine arts program for K-5 students in Tucson, AZ. Held at The Gregory School. 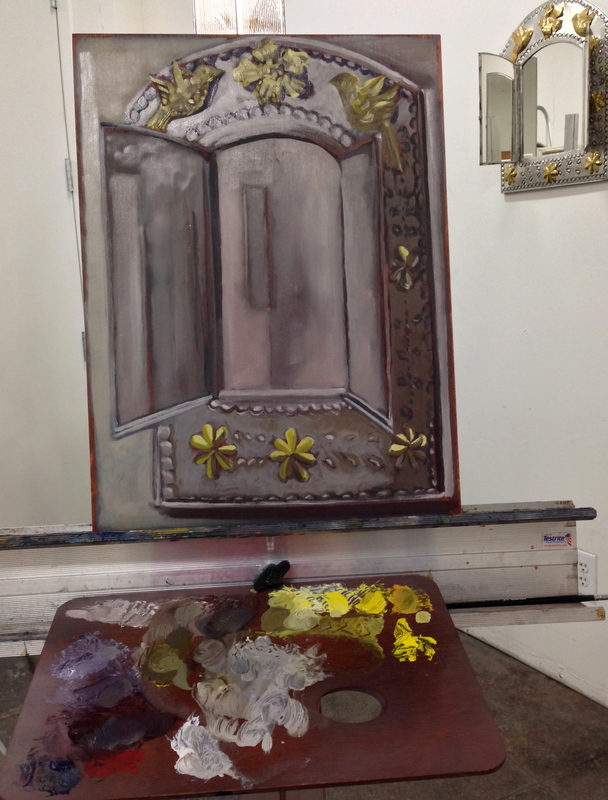 Individual critique sessions by invitation only and are held in studio “e” at the Metal Arts Village, Tucson. (3230 N Dodge Blvd/at Ft Lowell, in Tucson.) 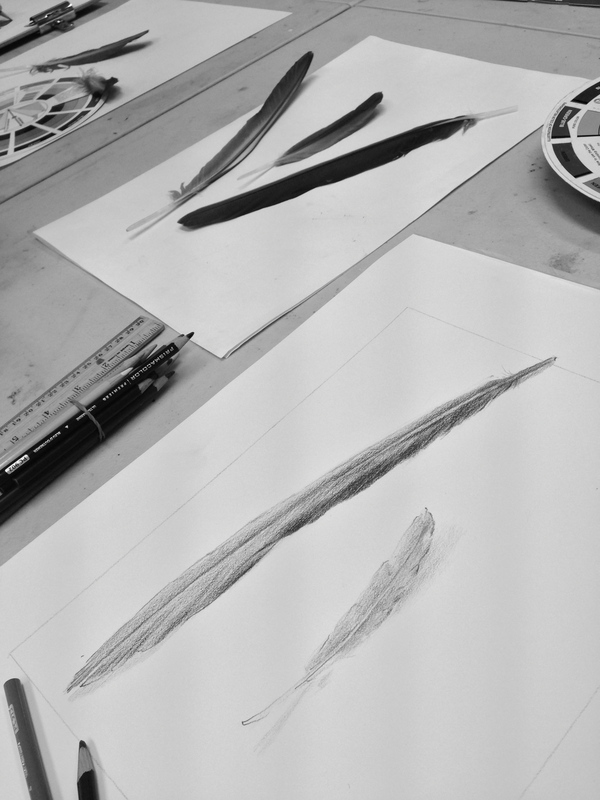 In 2014 Betina founded the Tucson Classical Atelier; the teaching philosophy is here. 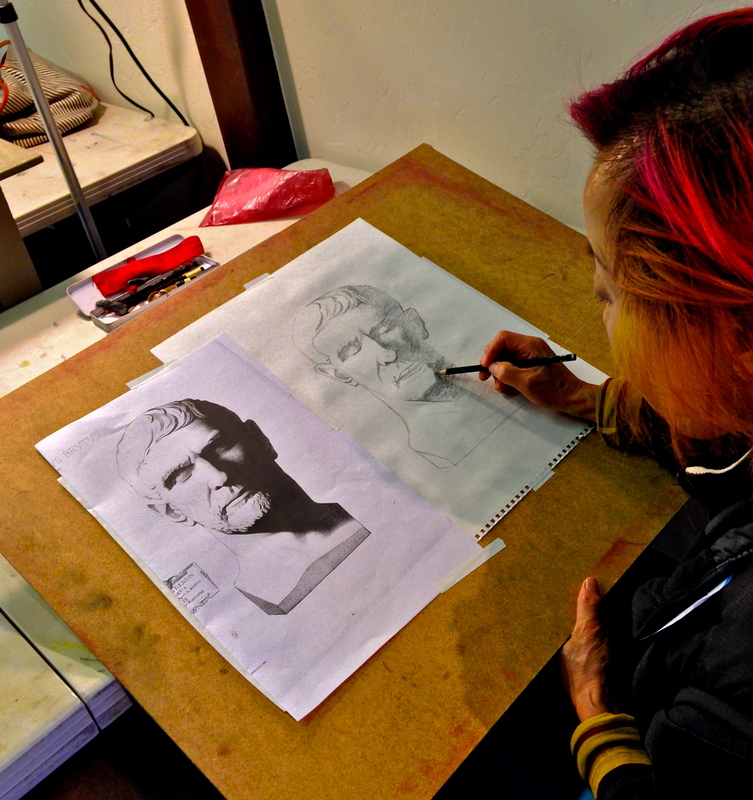 TCA is a school of fine art based on classical and traditional methods. Students buying supplies at Sarnoff’s Art and Writing and Arizona Art Supply are eligible for a discount. “Painting as a Pasttime” by Sir Winston S. Churchill. “Lessons in Classical Drawing” by Juliette Aristides. “Drawing Lessons from the Masters” by Robert Beverly Hale. “Charles Bargue Drawing Course” by Gerald Ackerman. 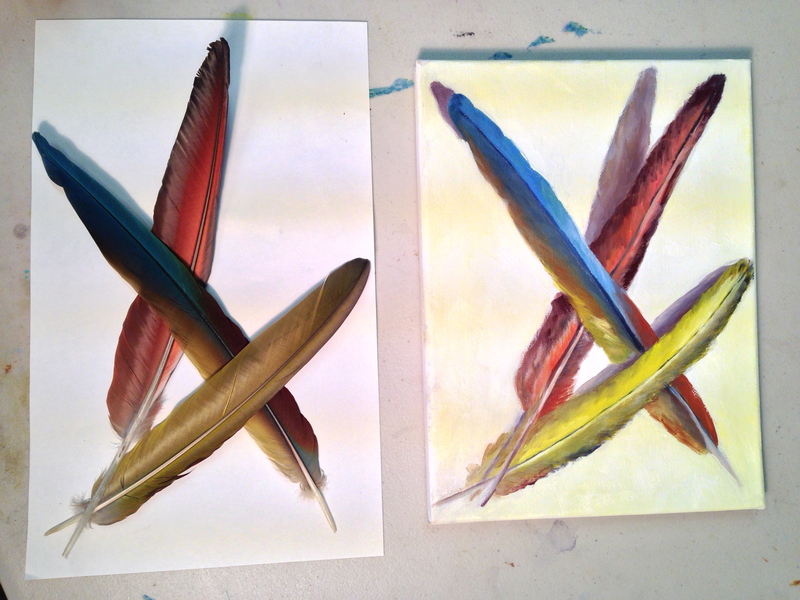 Feathers color study in oil by Lourdes. Bargue study of Brutus, by Yukie. For more information about Charles Bargue portrait and figurative work click here. Further perusal of the importance of realist applications as a foundation for any art practice, available here. 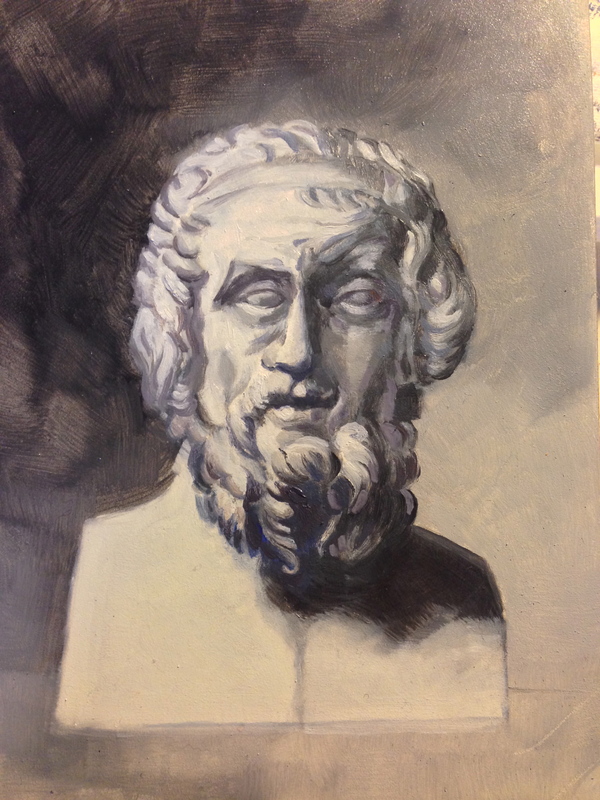 Homer in oil, by BF.